Today Pakistan cricket teams official world cup kit was released in a ceremony which took place in Royal Palm Club, Lahore. unlike the 1992 replica kit rumours the new kit feature a new design and slightly light green colour. here are the pictures and video of the kit launch. 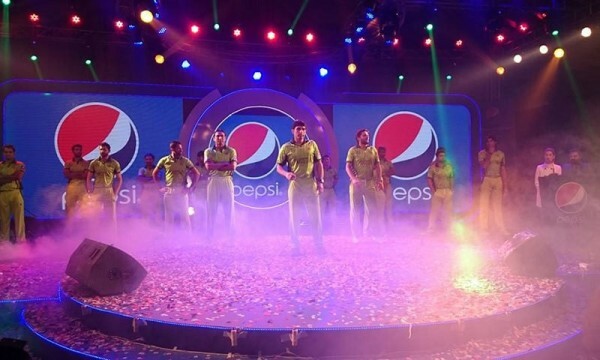 Here is a short video of the kit launch ceremony from Lahore which unvieled the new kit with some top pakistan players coming out in new kit. There are rumours that Pakistan will go into the 2015 world cup with the replica jersey which they used 22 years ago in 1992 world cup winning campaign. The kit is not officially released as of yet but if rumors are to be believed to be believed Pakistan Team Jersey for upcoming 2015 cricket world cup is inspired by 1992 world cup which also took place in Australia. 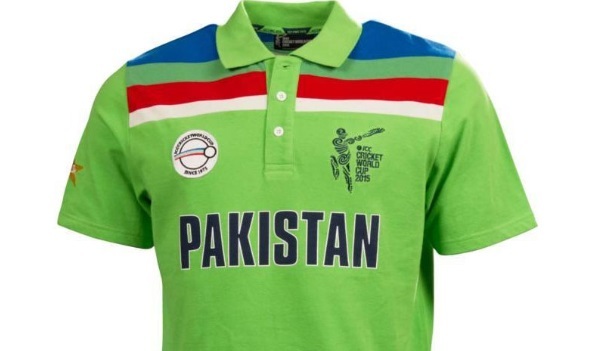 The above leaked image shows supposdly the new paksitan kit for 2015 world cup with light green as the main colour and with white, red and blue stripes on the shoulders. 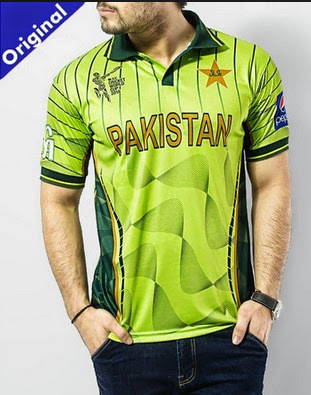 Although its remain to be seen whether ICC has accepted this to be the new kit. Because Australia and Sri Lanka has already revealed their kits for 2015 world cup and they dont feature any replica designs. You can take a look at every teams world cup 2015 jerseys, all the teams are suppose to reveal their kits atleast 1 month before the start of world cup campaign. Here are all the coloured team kits of pakistan since 1992 world cup and we leave you with the question. Which of the following kits best represented true Pakistani spirit ? Let us know with the your opinion in the comments box below.